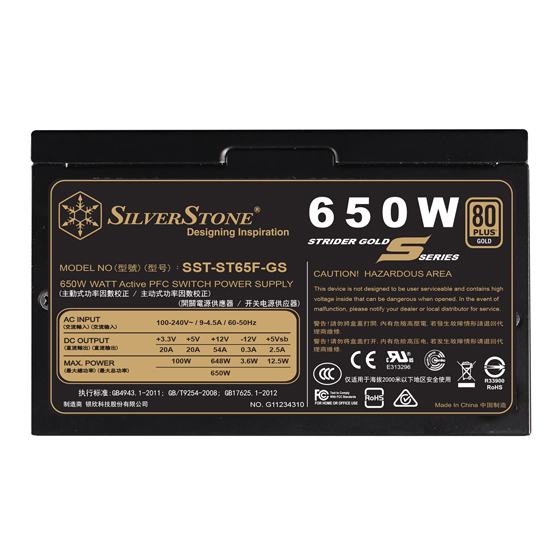 To meet the requirements of current and future desktop computers, SilverStone created the Strider Gold S series power supplies. 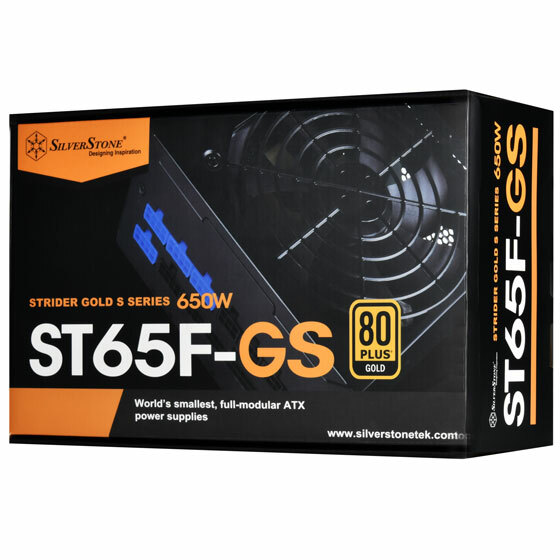 The Strider Gold S models are all new designs engineered to be the smallest, full-modular ATX power supplies at any wattage levels. 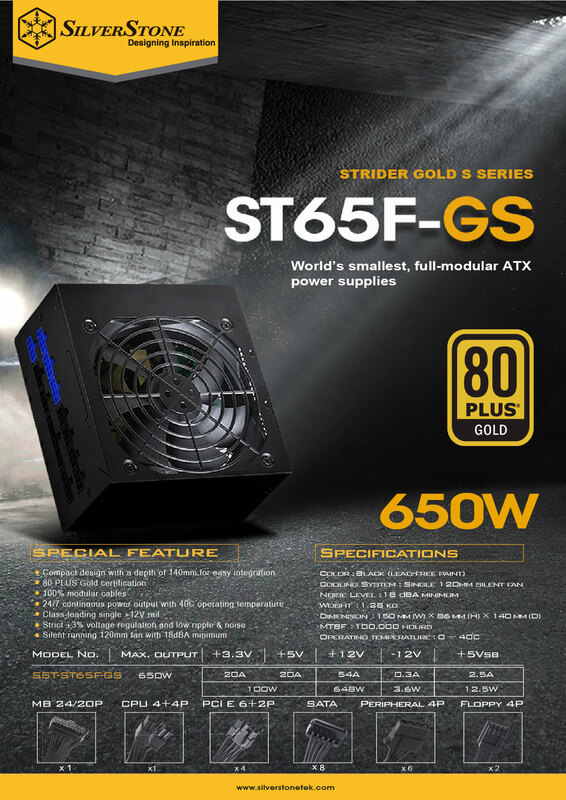 The Strider Gold S series includes wattage range from 550W to 1500W for a great variety of applications. 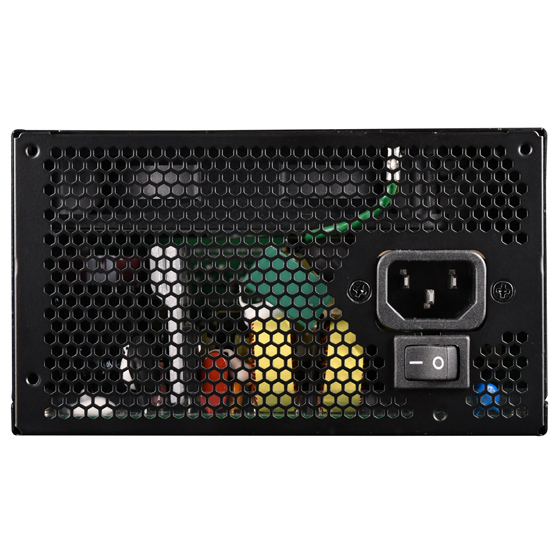 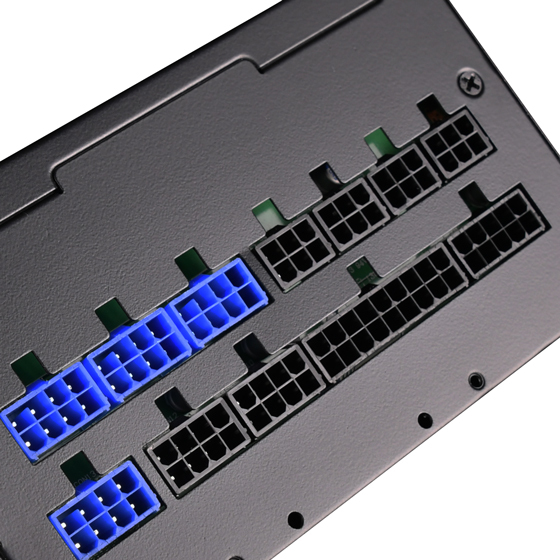 With short depth designs, all models in the series are among the world’s smallest full-modular ATX PSUs. 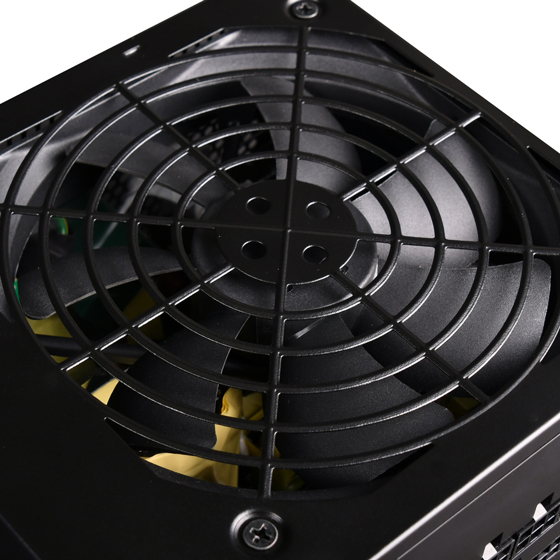 In addition to 80 PLUS Gold level efficiency, the Strider Gold S PSUs are built to meet very high standards in electrical performance with ±3% voltage regulation, ±3% ripple & noise, and high amperage single +12V rail. 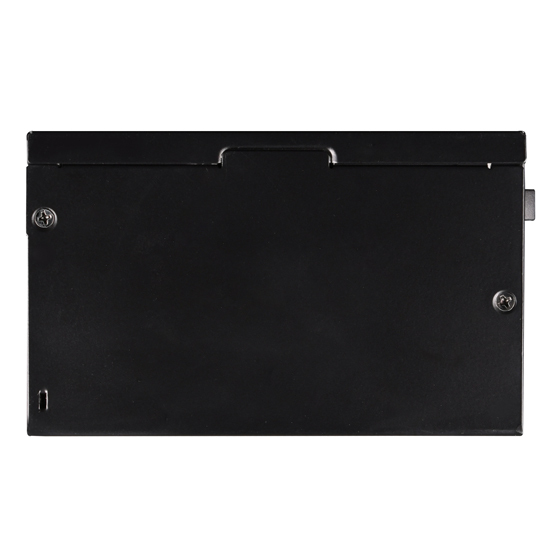 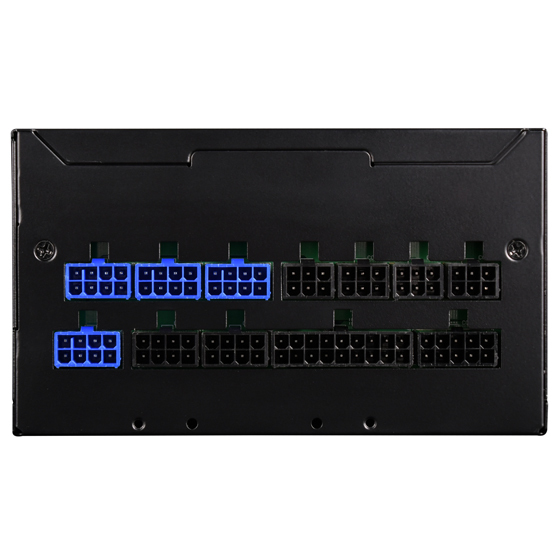 Other notable features included are 24/7 40°C continuous output capability, low-noise fan, and multiple sets of PCIe cables. 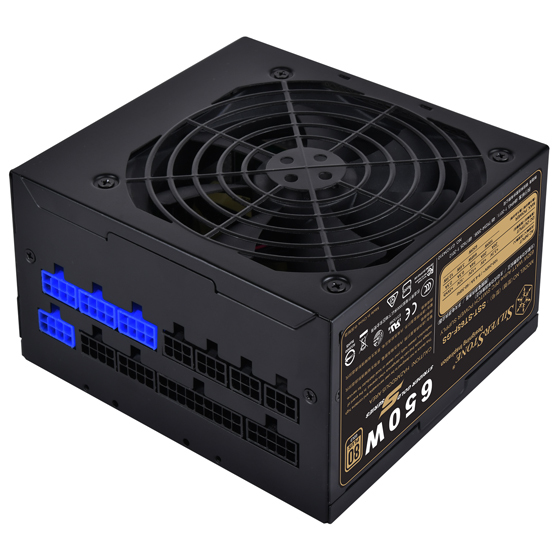 For users looking for a power supply with faultless combination of compact size, performance, efficiency, and quality, the Strider Gold S Series is the only choice. 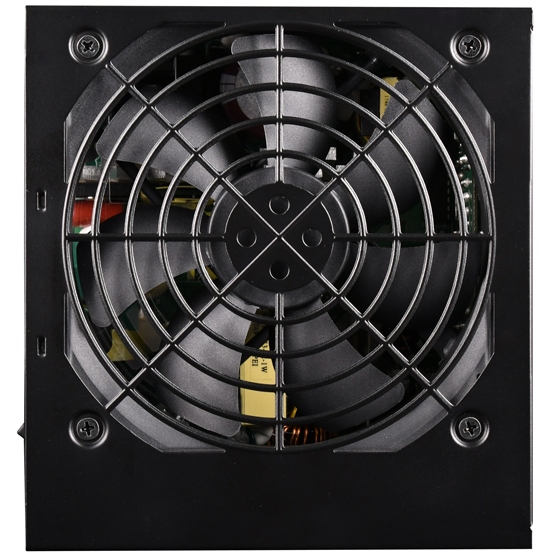 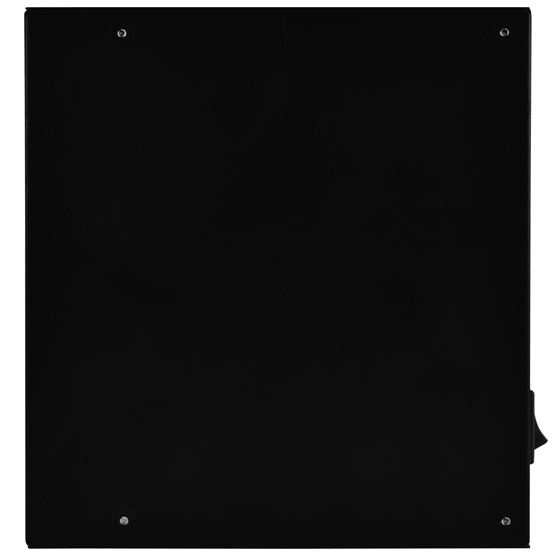 (2) Built-in 120mm fan has excellent airflow and low noise, perfect for quiet home or office use. 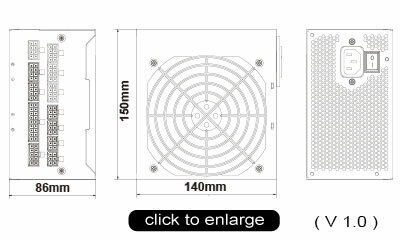 (3) ±3% regulation and low ripple & noise performance for high stability. 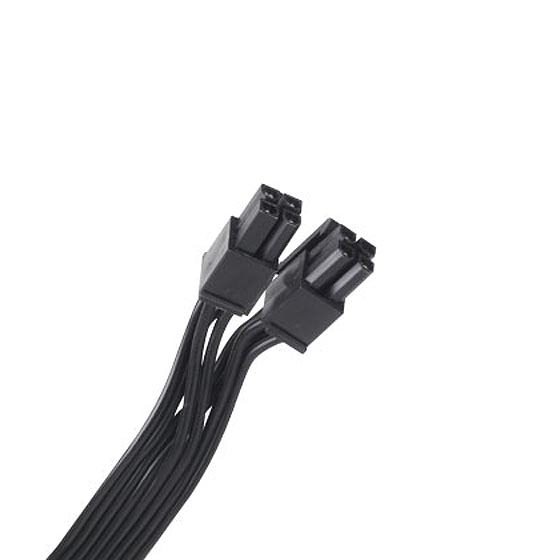 (4) Strider Gold S PSUs are the first power supply models in the world to include flat 24pin cables. 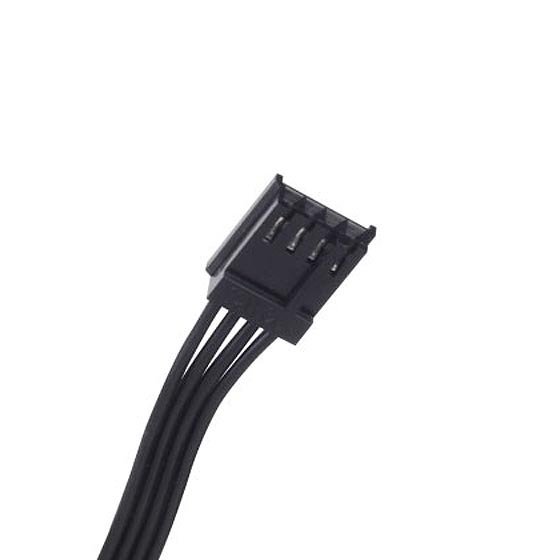 This cable offers much greater flexibility for tighter folding and superior cable management. 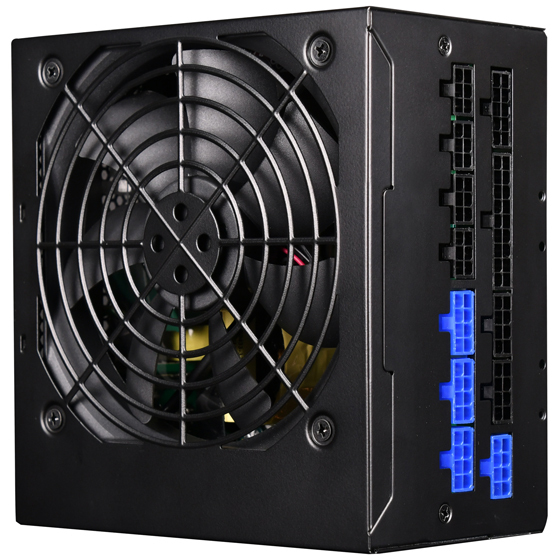 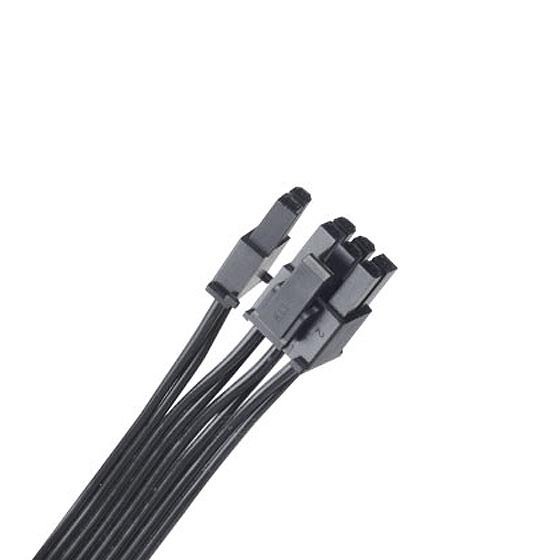 (5) 140mm depth sets new standard for high wattage PSUs with modular cables. 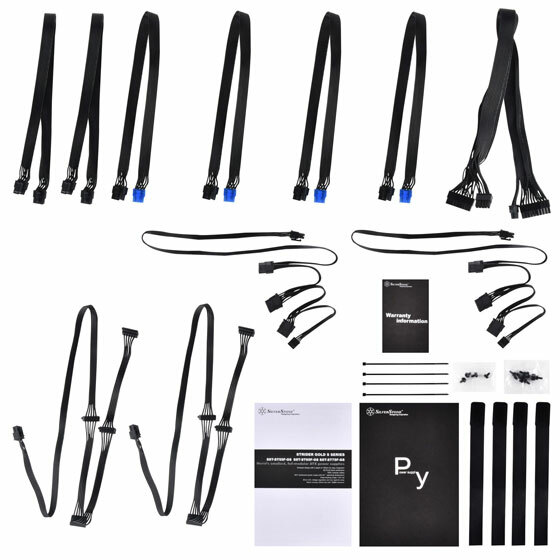 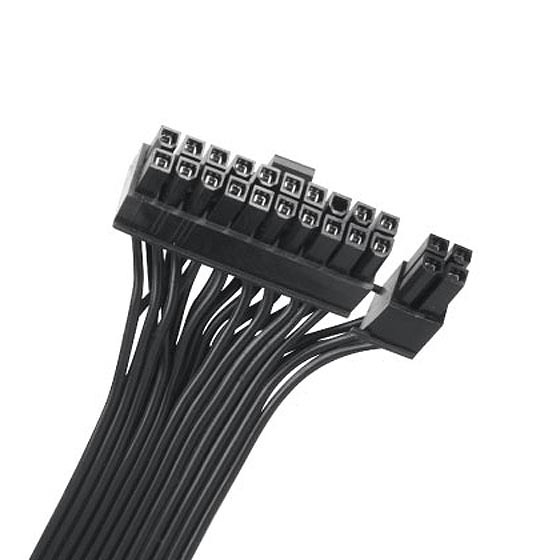 (6) 100% modular cable design for easy removal in a case with cable routed and tied down. 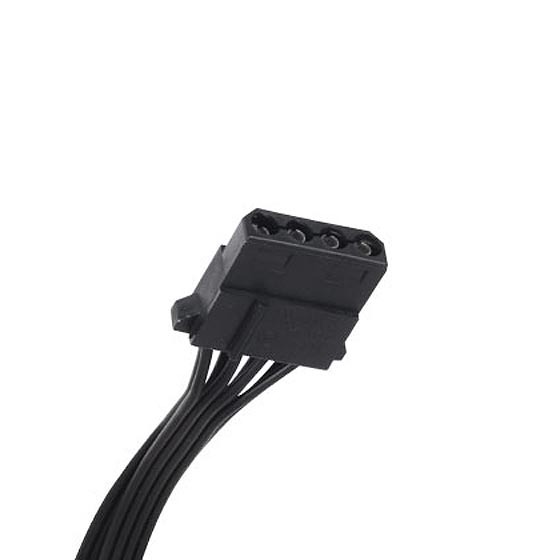 ● ST65F-GS is 100% modular cable design power supply, and the 24 pin connector design is 18+10pin to 24pin (20+4) +4 pin. 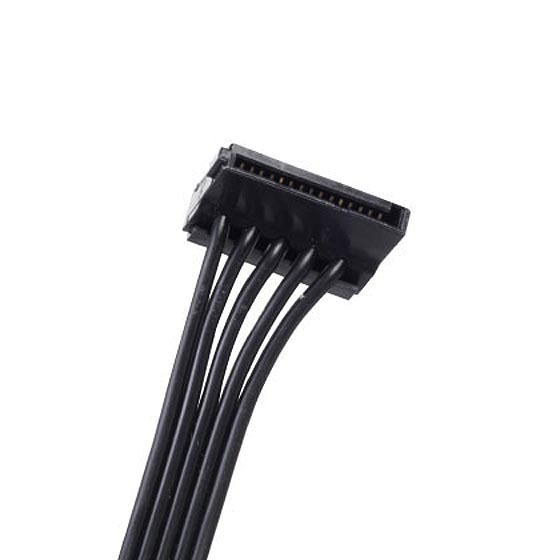 Therefore, the PP05-E and PP06 24pin cables can’t be used in ST65F-GS.